Set amidst a tropical rainforest in Tulum, Dreams Tulum Resort & Spa is an all-inclusive luxury resort with separate adults-only and family friendly sections. Offering gorgeous sea views, direct access to the beach, 44 acres of lush blossoming gardens, an outdoor pool, spa and spacious rooms with terraces, this hotel is one of the best in Tulum. With its warm hospitality, this AAA Four Diamond Award winning property offers an unforgettable Unlimited-Luxury® to its guests. 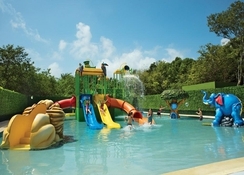 All-inclusive guests can expect spacious guestrooms and suites, reservation-free dining, Wi-Fi and unlimited calling to North America, access to all entertainment and theme parties and send their kids to the Explorer's Club. 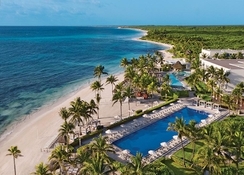 Set on the edge of Tulum National Park, the resort is a 15-minute drive from the Mayan Ruins of Tulum. The beautiful Sian Ka’an Biosphere Reserve is about 75km from the property. The lovely Cenote Dos Ojos is about 14km from the resort. The Cozumel International Airport is about 75km from the hotel. The 432 air-conditioned, non-smoking rooms at Dreams Tulum Resort & Spa offer a king size bed or two double beds, flat-screen cable TV, complimentary minibar, safe, coffee & tea maker, an iPod dock, DVD player, en-suite bathrooms, toiletries, living areas, room & maid services and private terraces or balconies. 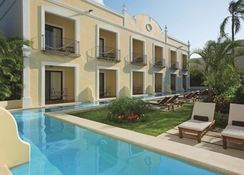 The adults-only rooms and suites have the desired privacy due to their location in a secluded garden section. The rooms come in categories such as Deluxe Garden View, Deluxe Garden View (Adults-Only), Deluxe Ocean View and Deluxe Junior Suite Garden View. 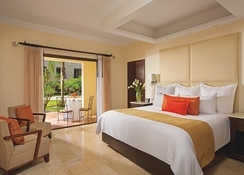 Preferred Club members can enjoy upgraded rooms and amenities. 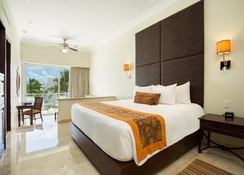 The Dreams Tulum Resort & Spa has as many as nine specialty restaurants and six lounges. The Himitsu offers Chinese and Thai cuisine, while the El Patio offers authentic Mexican food. The Bordeaux is an a la carte restaurant serving French cuisine, Gohan – Peruvian and Sushi, The Portofino for Italian cuisine and Seaside Grill serves seafood delicacies. 24-hour room service is also available. Unlimited-Luxury amenities include all meals, drinks and beverages without reservations. 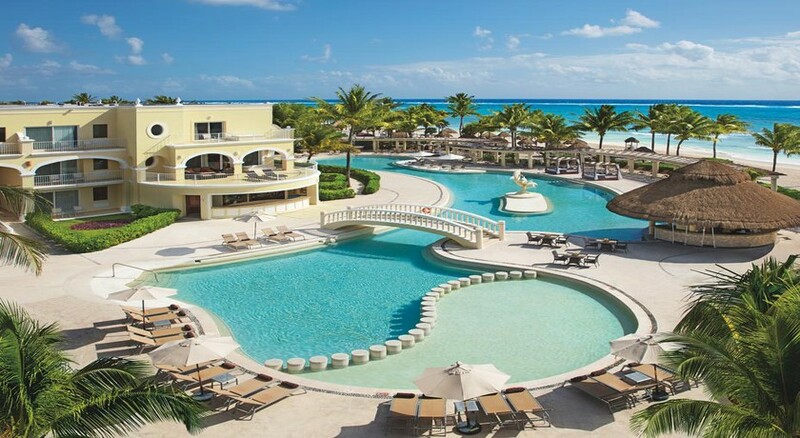 The Dreams Tulum Resort & Spa has a large outdoor pool and its expansive lush grounds are good for a stroll. Indulgent massages are available in the hotel’s spa. The resort’s concierge service can help plan excursions to nearby Mayan ruins, Xel-ha or Xcaret theme parks. Staff also organize fun daily activities and sizzling evening entertainment at the hotel.